If you are arrested for a DUI and either 1) blow > a .08 on the Breathalyzer or 2) refuse a chemical test, your driver’s license will be automatically suspended. The police officer will seize your license and forward it to the DHSMV. Within 10 days, you need to decide whether to fight the suspension in an administrative hearing or consent to the suspension. Whatever choice you make, there is paperwork that should be filed with the DHSMV notifying them of your intention. Please note that a Public Defender’s role is limited to criminal proceedings. Accordingly, a public defender will not assist you in the administrative suspension. 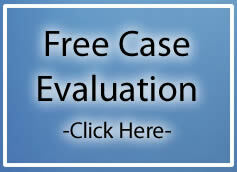 You must do it yourself or hire a private attorney. With regard to the DHSMV paperwork, it can be substantial. I had a difficult time finding the most up to date version of some forms last week. At least one was not available anywhere I looked online including the DHSMV website. The Bureau of Administrative Reviews was kind enough to fax one to me. 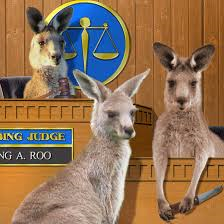 Despite its reputation as a “Kangaroo Court”, the employees at the Bureau of Administrative Reviews are some of the most helpful and friendly individuals you will run into in this process. So if you have a question, ask and be nice. Nevertheless, due to my difficulty getting all the forms quickly, I decided to post them all in one place. Enjoy. This form is used to request a formal or informal review of your administrative license suspension. If you prevail, you will not receive any “hard time” suspension from the DHSMV. Although your license may still be suspended if you are found guilty in the criminal proceeding. This form is used to waive your right to a formal review hearing in exchange for ability to get an immediate hardship reinstatement. This option lets you avoid any “hard time” administrative suspension. You are only eligible for this if this is your first DUI. You must show up at the DHSMV Office of Administrative Reviews within 10 days of your arrest with this form and proof of enrollment in the appropriate DUI course. You will have a hearing in front of a xarelto lawsuits who will determine your eligibility. Use this document to subpoena police officers and/or other relevant witnesses to the administrative hearing.